Thread collab/36424 hidden. Unhide thread Threads not staying hidden? Try resetting your hidden threads. 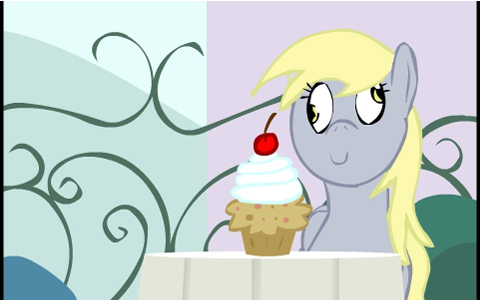 I got through with reading Harpflank and Sweets, which is a pretty entertaining fic. I'm not sure why I took so long to pick it up. It's an absolutely fantastic read. Anyways, I want to animate a scene from the fic, or if possible, several, but only if people are willing. I'm asking for a bit of help because I can draw, and that's about it. No real experience with flash or any other kind of animation software. And I'll also need help in drawing if I were to get anywhere at all in a reasonable amount of time while keeping quality in mind (my DA has been pretty dead for a month or so). Especially, if we're going to do frame-by-frames as I'd like. So, if you're still reading this, I imagined that the animation style is going to be very dynamic and "lazy" and will be fully cel-shaded. As reference, look to TTGL or FLCL. Scenes will be very ridiculous, and hopefully, a lot of fun. So anyways, comment if you have ideas or if you're interested in helping me out; I don't think that leadership will really be necessary. 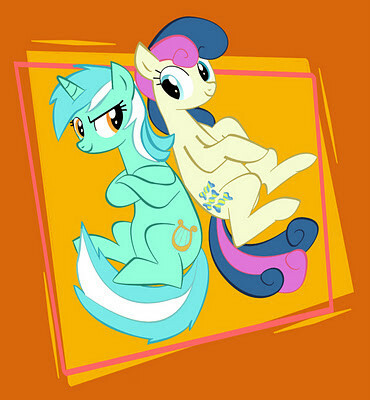 If anypony is interested, the names will share equal glory haha. Hey Tabby here, this looks like an interesting project. I'm interested but i'll have to see if this is plausible with my schedule. I animate and compose content but i'll have to see. I currently work with Team 5 http://tabby444.deviantart.com/ So i'll get back with you with an answer as soon as I can. Cool! I saw your gallery, and all I can say is that I'm impressed ^.^. I don't know much about flash, so if you are able to do this with me, I'm sure I'll be in good hands. Eh, bumping to pry for interest. Thread collab/36661 hidden. Unhide thread Threads not staying hidden? Try resetting your hidden threads. 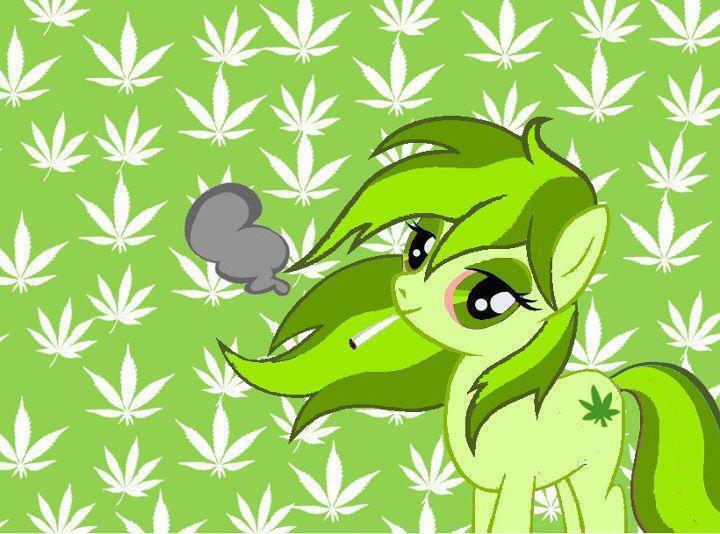 Hey everypony. I've lurked around here a little bit, but haven't made a ton of posts. So for the last two months or so, I've been working on a 2.5D pony platformer with a buddy of mine. I ran into him at school, where I saw him building an astounding model of Canterlot in Maya/Mudbox. Once I volunteered my programming abilities in Unity, the idea to make a game was natural. I've put together the engine, and included the skeleton of the game; health, projectiles, weapon pickup, damage, triggeers, item pickup, moving platforms, sufficient 2D physics, etc. I even started to throw in some placeholder sound effects. Unfortunately, due to him having to go to rehab for drug dependency, I've lost my artist this past week. I assumed the project would be on hiatus until his return, but he's informed my that he's going to be gone for a while; a lot longer than the 28 days I'd originally anticipated. With his blessings, I've come here to ponychan looking for artists [3D and 2D] and musicians/composers/sound effect designers. 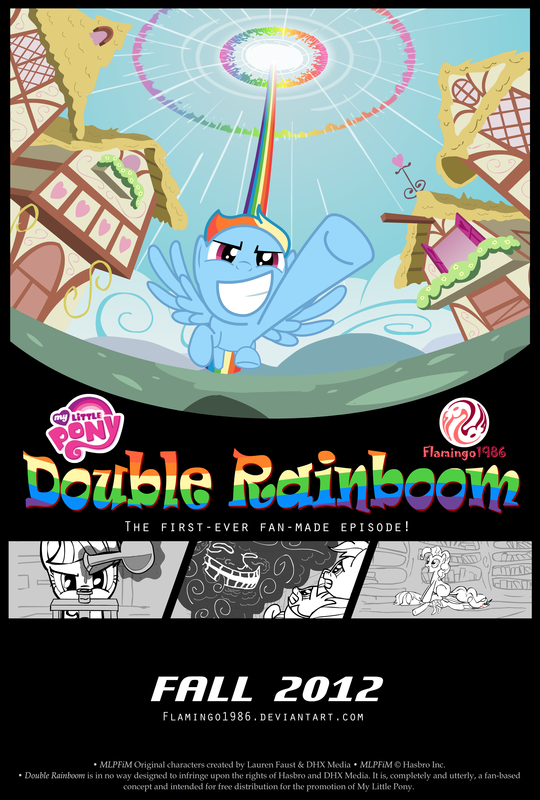 He's handed over all of his completed assets, as well as those that are unfinished, which is great because otherwise the only "pony" thing about the game would be the fact that you play as an unanimated Rainbow Dash XD. I already got two emails, from voice actors. Unfortunately, I don't think that there will be voice acting in the finished project. Also, I'm tryna figure out this name/trip code stuff, so sorry if I screw it up. Bumping this for you. Unfortunately I can't offer any help but I can offer some advice for your thread: show off some of your work! You've already typed a lot, now show some stuff to back that up. This'll make it easier for people to know you're serious about making this game, plus it'll help artists to get to know the style a little bit. Also, it's actually a lot easier to find programmers than it is to find artists. Artists are just often really busy with their own projects (especially 3D artists! ), they usually only focus on one or two things. Anyway, show us some stuff, let us know what you're up to and gather some attention. Don't forget to look around on /art/ threads as well! Thread collab/36533 hidden. Unhide thread Threads not staying hidden? Try resetting your hidden threads. After starting to watch Doctor Who, and listening to some of the fan made radio plays of Doctor Whooves, I got this idea of combining ideas of the whole fandom and make a fan spin-off series of Doctor Whooves. Although I'd like to point out that right now it's just in a "pseudo-planning" stage, hell, even a "would-be-pseudo-planning stage". Like it's something I'd like to do, but right now I don't feel like I could or don't have the time, so right now I'm just letting my head get crazy and throw random ideas to the air. > /collab/ isn't really an idea-board, so I don't think you'll have much help here. I've noticed how this place tends to dislike Idea Guys, mostly because the average "Idea" thread is nothing but a badly veiled request where the OP says what he/she wants and then expects the community to do all the work. Thread collab/36369 hidden. Unhide thread Threads not staying hidden? Try resetting your hidden threads. 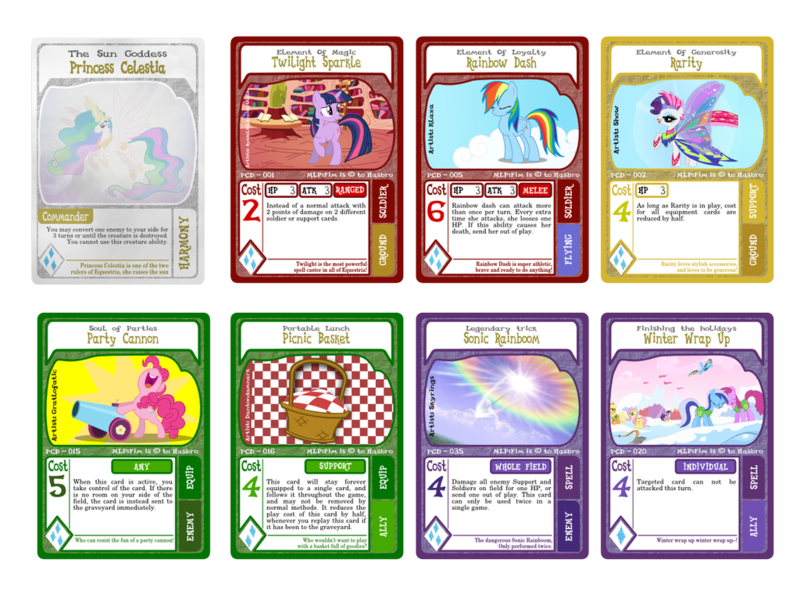 I have been working on an MLP card game for QUITE a while. 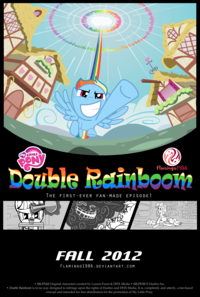 Much longer than any other MLP card game actually. 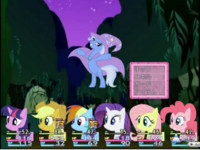 I have come a long way with mental planning, and I have a nice portion of the rules laid out, I need a few bronies/pony fans to help with design, play-testing, and development. Note: Names of card types >Are not final< I have some changes done, but not included in the current published manual. 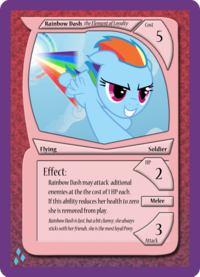 1) Rarity's ability - Round up or down? 2) Support cards - Only 2 support cards on the field per player? 3) Friendship points (2 for harmony, 1 for chaos per turn) seems to be very in favour of harmony if that is your only income. Am I missing something here that balances the two? i am totally useless at the moment for any help with this... but i can at least give this thread a mighty needed bump. The grammar/word choice on Twilights card is inconsistent with the rest of them. Thread collab/36659 hidden. Unhide thread Threads not staying hidden? Try resetting your hidden threads. So, let's see if this works. I built show-accurate eyes, but I am not the pony to complete the build 'cos I got too much else going on, so I'm giving my work out to other Flash users. Don't know if it's any use and if operating this model is too hard, you ain't the only one- it's awful complicated. Thread collab/36543 hidden. Unhide thread Threads not staying hidden? Try resetting your hidden threads. OC pony requests go into the OC Desktops Ponies thread, wea. You should have tried doing it by yourself instead of appearing out from nowhere and say "This is what I want, now do it.... now." to a group of people that don't even know who you are, wea. Thread collab/30932 hidden. Unhide thread Threads not staying hidden? Try resetting your hidden threads. 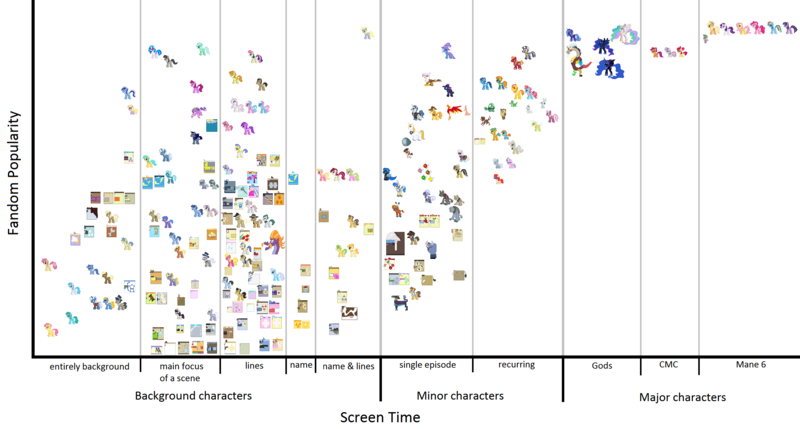 so, i forget where i got the idea, but i decided i wanted to graph all the ponies, prevalence in the show vs. popularity in the fandom. i think it was mostly just for the curiosity. so after working on it on and off for the past month or so, i came up with this pic. 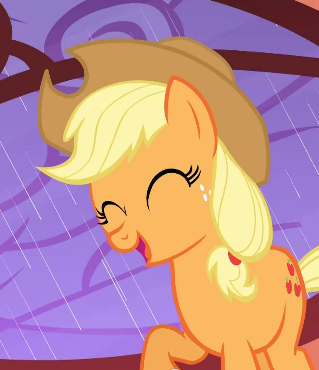 a big chunk of that time was spent making the little simplified icons for each pony. if you dont recognize one of them, ask and i'll identify. i've probably missed some characters, so point them out to me if you think of any. 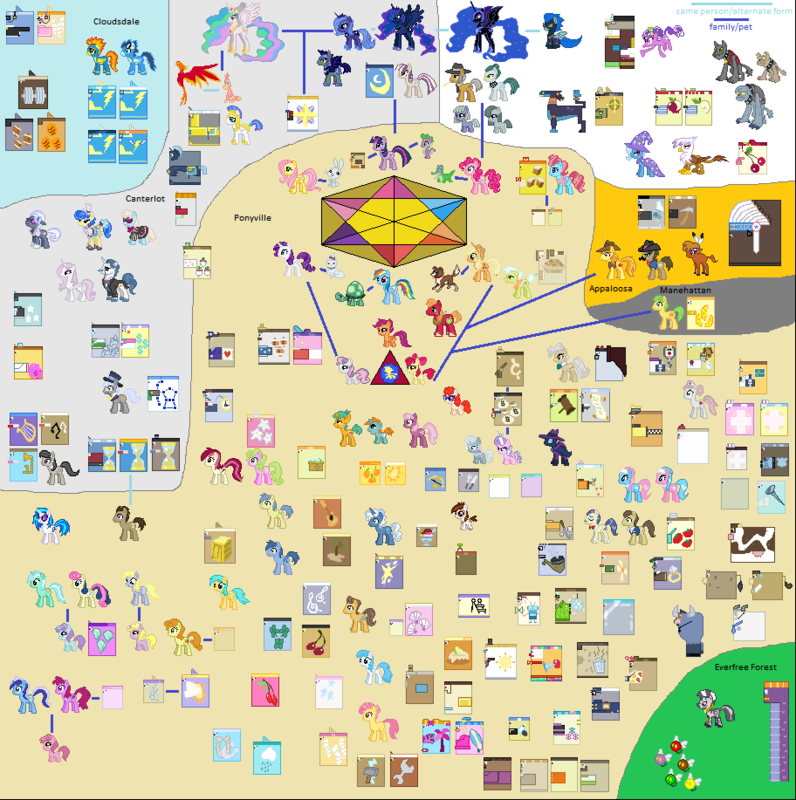 i went through the list of characters and ponies from the wiki and included every pony i recognized. the positions are based on, basically, me guessing based on what i remember from the show and what i've seen from the fandom. i should probably find a better way to determine those. something i noticed from what i have so far: there's a valley of fandom-popularity between the main characters and major fandom characters. between bonbon/doctor whoves and trixie/gilda, the most popular characters are the flower trio, and that's quite a drop down. 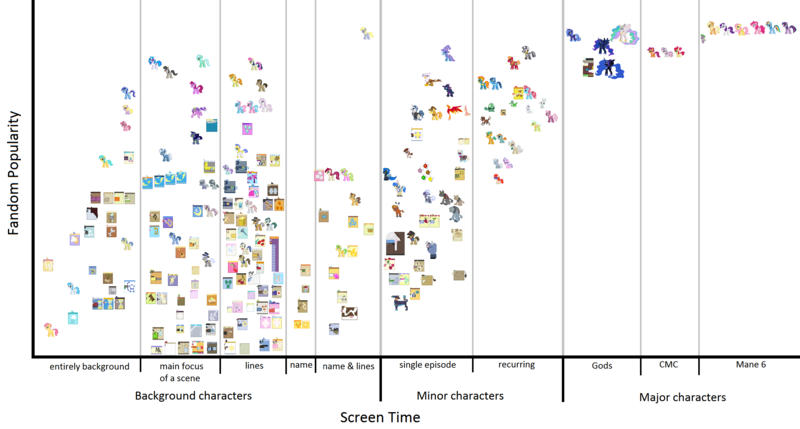 i've considered what the third dimension would be (if i knew how to represent it), and the best thing i've come up with is time, to show things like how quickly a character became popular, and how derpy's gotten more screen time over time. 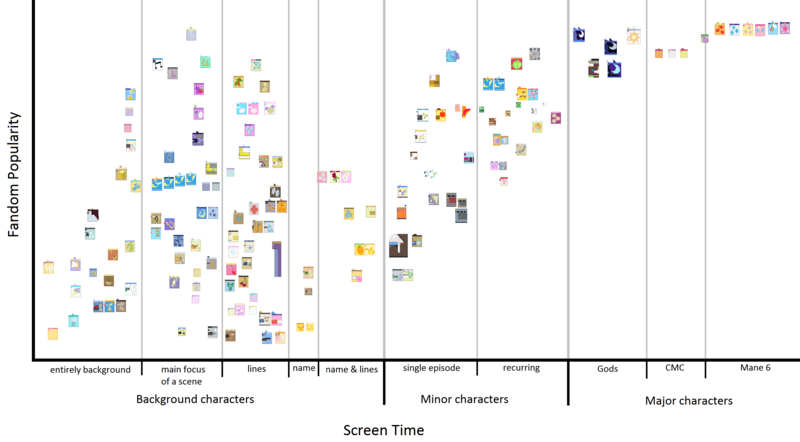 if i did this, though, should the other 2 axis' represent absolute screen time/fan work, or percent of the total? ok, so since making the icons has been taking up a lot of time, and i kept wanting them to be more accurate and less like the colored squares i started with, i'm just going to use the sprites from Desktop Ponies. i'll try to do my own version of the missing sprites, but i doubt they'll be as good. ok, so here's the graph at the moment. Thread collab/36251 hidden. Unhide thread Threads not staying hidden? Try resetting your hidden threads. I am just messing around and creating a page (based on a silly premise, I know) where you can have ponies dance to your music! I only just got it working and have a fair number of features that I want to add. Right now you can only set the BPM via the slider. Feel free to test it out or throw any comments my way, just note that Twilight was the first test and doesn't work, since she isn't dancing. So far it seems easiest to use an online metronome to figure out the BPM of a song. I haven't had time to work on this over the week, but now that it is a weekend, time to do something! I am going to find some more dance loops! Thread collab/35285 hidden. Unhide thread Threads not staying hidden? Try resetting your hidden threads. A fangame I'm working on. 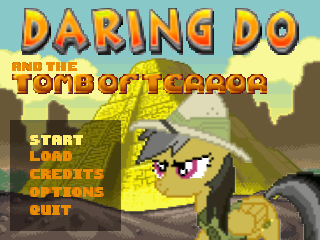 Help Daring Do get the treasure and make it out alive! Feel free to post impressions, bugs, suggestions etc. Arrow keys and space bar also navigate the menu. You can redefine the controls in the options. A full list of who made/ripped what is in the CREDITS option in the menu. 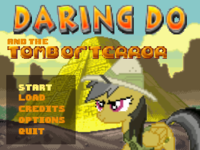 Can you upload Daring Do resources (images) somewhere? Sadly, I only have the images done inside Multimedia Fusion 2. Here's the source for anypony that can open it. I'll extract the images properly when I get some time off class. I can work with these. Thread collab/29679 hidden. Unhide thread Threads not staying hidden? Try resetting your hidden threads. 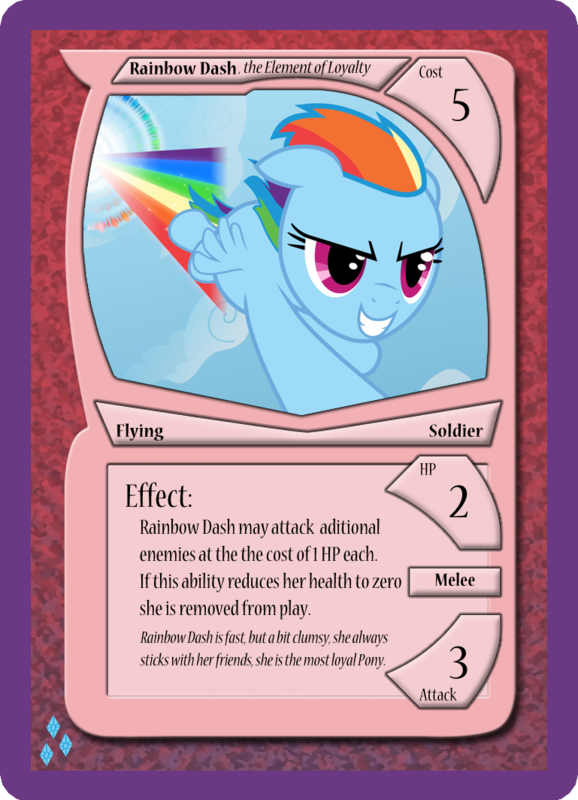 In lieu of seeing the other Card game on EqD, I thought I'd post about my project. This is the PonyCraft TCG. I have been working on the rules and fine-tuning everything. so there are only 4 demo cards, and the design, by the way, is not final! I am looking to recruit people to help supply the game with rules, card ideas and any other things that you may think of. This has been in the works since around June now. Go ahead and read the rules, and if you wanna give me your input, or join my card design team, I'd gladly accept! This looks so rad! Brohoof, bro. Well I'm pretty interested in doing something. I have a fair knowledge of photoshop. Not much on a professional level but enough to know what I'm doing. Perhaps a small suggestion which I haven't come across on any of these traditional game projects. I recently bumped into a program called Vassal Engine. It is a client to play board-, card- and wargames over the internet and it comes with a module editor. PM me if you are interested. Thread collab/36349 hidden. Unhide thread Threads not staying hidden? Try resetting your hidden threads. Thread collab/36295 hidden. Unhide thread Threads not staying hidden? Try resetting your hidden threads. 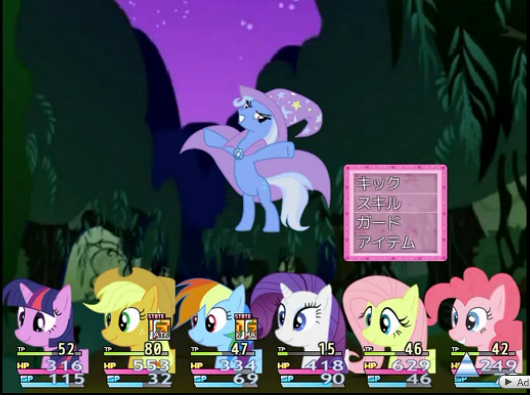 I'm looking for anypony capable of reading Japanese in order to translate a game/possibly get in touch with somepony making an MLP RPG. OK, I guess I might have been too vague. And I posted anonymously, so that was stupid too. I am looking for permission, as>>36303 said. However, I don't actually know Japanese, but this is clearly made in RPGMaker. I have a friend whom I worked with to translate and bring over a few Japanese RPGMaker fangames, however, said friend refuses to associate with anything pony related, which is why I came here looking for help/anypony interested. I don't have any skills myself save for editing an English script. I guess I might have misunderstood the rules, so sorry about that. >>36307 Thanks for that. And if I get an answer soon, I'll post back here. Reported. This isn't a forum, folks. Yeah, from the looks of the screenshot it's either VX or VX Ace. Thread collab/26709 hidden. Unhide thread Threads not staying hidden? Try resetting your hidden threads. 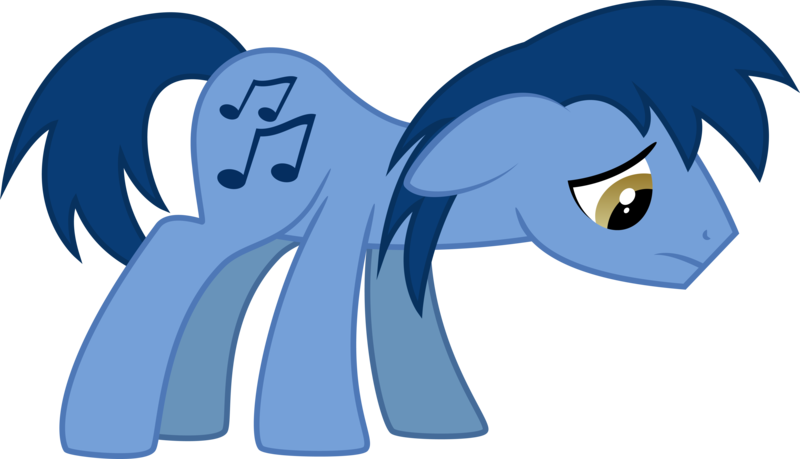 For those of you just joining us, this is the Beatle Brony project! 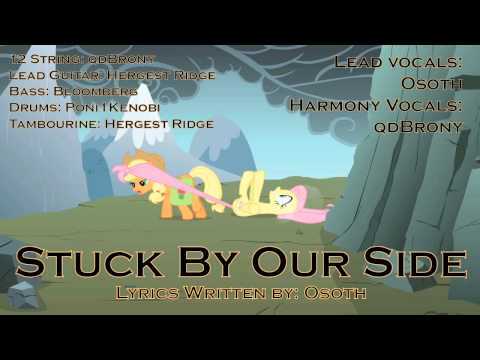 We take Beatles songs, write new pony lyrics for them, and then cover them! It's been a blast and we've done over 30 songs so far and plan to do more as Season 2 progresses! NEW SONG ALERT!!! 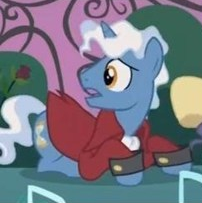 Let's hear it for our resident Richard Starkey impersonator, Equestria Dude! NEW SONG ALERT!!! Set the controls for the heart of Jangly-ville! Thread collab/36231 hidden. Unhide thread Threads not staying hidden? Try resetting your hidden threads. Different things. 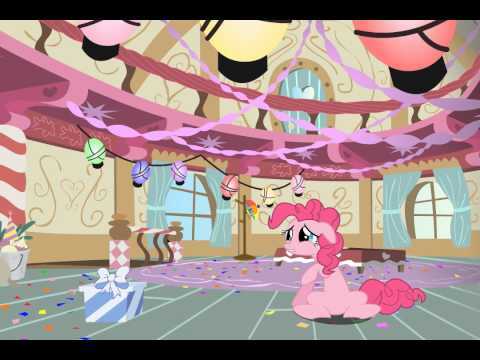 The guy who's doing Double Rainboom made the Present Prank animation (the video, if I embeded it right). He put up the storyboards on dA in November. If you're interested, I'm pretty sure he has more information on his dA page (http://flamingo1986.deviantart.com). The Ask the Crusaders thing is much more recent, I believe. The ask-the-crusaders fan episode is now a project not strictly associated with them. 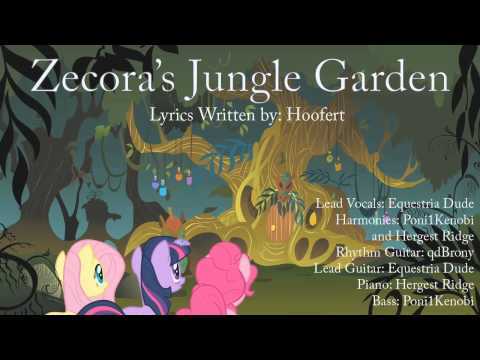 Incidentally, Flamingo1986 _is_ associated with the EQD project as well! Thread collab/36138 hidden. Unhide thread Threads not staying hidden? Try resetting your hidden threads. Instead there will be two lists: Résumés vs. Jobs under each category. 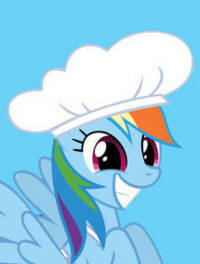 Alrighty, everypony. Résumé / CV listings are functional.